Businesses should be aware of these new regulations and prepare accordingly. Responsible data management and end of life shredding and recycling is essential to avoid new fines of 4% of Global Turnover. Data Protection Act 1998 - If you handle personal information about individuals, you have a number of legal obligations to protect that information. Principle 7 of the Act states that ' appropriate technical and organisational measures shall be taken against unauthorised or unlawful processing of personal data and against accidental loss or destruction of, or damage to, personal data' - having an approved shredding agreement for all your confidential paper records ensures legal compliance. Have demonstrated that their confidential destruction premises are secured and managed in the appropriate way, to avoid contamination or security breaches. Have a clear and accurate process in place to ensure all contracts with clients, suppliers are up to standard. Have undergone staff screening and vetting against British Standard BS7858. Have approved Vehicle satellite tracking, CCTV and alarmed and monitored buildings. Have in place tested, secure and appropriate processes for the collection, retention and destruction of confidential material. Duty of Care Environmental Legislation - All businesses produce waste and most types of business waste are classed as controlled waste. Controlled waste includes commercial, industrial and household waste, you have a legal responsibility to ensure that you produce, store, transport and dispose of controlled waste without harming the environment. This is called your duty of care. You must ensure that anyone who handles your waste has the correct permit, registration or exemption license. You must check that your waste carrier is registered or holds an exemption. You need to keep evidence of this so you can prove you have checked if necessary. Ask to see your waste carrier's certificate of registration or a certified copy of it, which will show when their registration expires. Evergreen Security Shredding & Recycling services are approved and vetted to BSEN 15713 standards, which are incorporated and audited within the ISO9001 Quality Management Systems. Copies of this certificate is available for customers to keep on file and review yearly to ensure compliance. Is your shredding company approved to BSEN15713 and incorporated within the ISO certificate ? 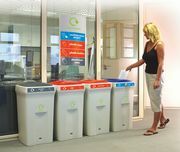 Does the company have a waste carriers license, to enable them to carry waste ? Does your company have an Environmental Agency approved waste permit or Exemption License ? Does your company have an approved operating license to manage a transport fleet ? Does your shredding company have approved insurance for Public & Employers liability ? Does your company have ISO 14001 environmental quality systems vetted to UKAS auditors ? Is your shredding company local to minimise the risk of transportation and opportunists theft ? 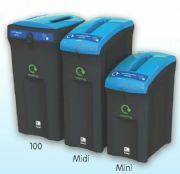 Does your shredding company charge per minute which is difficult manage and budget. Evergreen's costs are transparent and charge by container or weight. Does your company give a personal, ethical and reliable service. If you would like to review your service or to obtain a best value alternative secure quotation, please contact us.